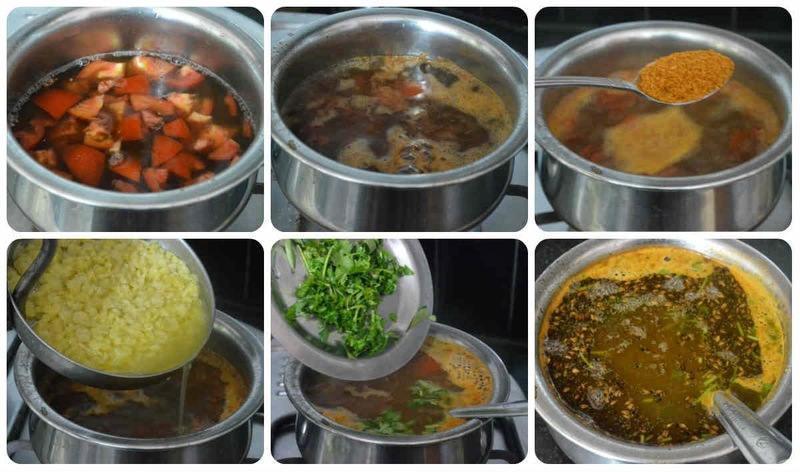 Paruppu Rasam/Dal Rasam is a tasty and flavourful Rasam which I prepare often. 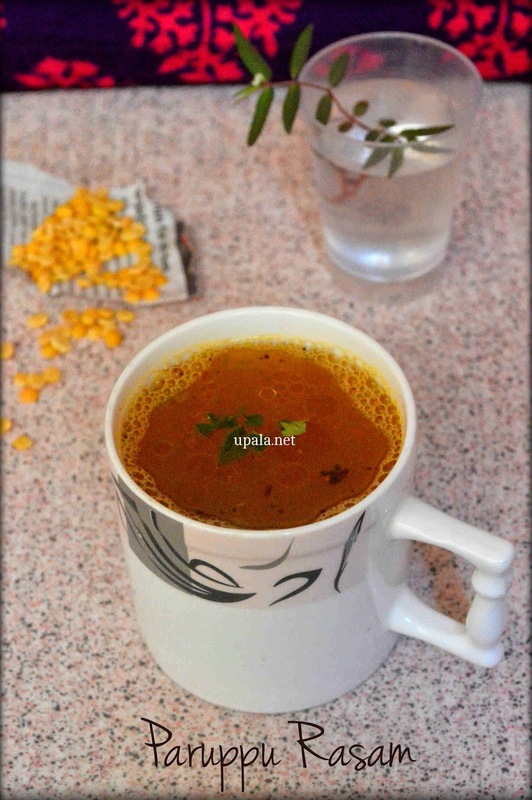 This Rasam is a popular south Indian recipe which is mixed with Hot Rice and taken. 1) Pressure cook Toor dal, slightly mash it with the backside of ladle and keep aside. 2) Soak Tamarind in warm water and extract juice from pulp. Add tomatoes, salt and Asafoetida to this juice and leave it to boil. 3) After it boils, you can see tomatoes gets cooked in tamarind juice. At this stage add Rasam powder, cooked toor dal and leave it to boil in medium flame for few more minutes. 4) Dilute it with enough water and leave it till frothy. Switch off the flame and garnish with Curry leaves and Coriander leaves. 5) Heat ghee in a kadai and add Mustard seeds and Cumin seeds to crackle. Pour this seasoning mixture on top of Rasam.